Jada Pinkett Smith says her 16-year-old daughter Willow Smith will have to sneak into the theater to watch her new movie Girls Trip. The 45-year-old actress stars in Girls Trip alongside Regina Hall and Queen Latifah in the R-rated comedy, which follows four besties who travel to New Orleans for the annual Essence Music Festival. Despite the facts that Willow turns 17 in October, has been sexually active since her adolescence, and no longer lives with her parents, Jada believes the film isn't suitable for Willow to watch. Instead, Jada says she encouraged her teenage daughter to catch the movie on the down low. "I told Willow, ‘Now, you’re gonna have to do what I had to do as a teenager when I wasn’t supposed to be watching certain rated R movies, and that is not tell my mother and sneak in with my girlfriends,'" Jada said during an appearance at AOL's Build Series on Monday. She added: "She wanted to go to the premiere and I said, ‘Oh no, we won’t be doing that'. Jaden and Trey -- my boys are grown so they’ll do whatever." Jaden is 19, while Trey, 24, is Jada's husband Will's son from his first marriage to Sheree Zampino. Jada also stopped by ABC Studios in New York to appear on The View with co-stars Regina Hall, Queen Latifah and Tiffany Haddish on Monday. Have you been a fly on the wall?? IJS how you know that CHILD is sexually active?? With no receipts that's really triflin of you Sandra. Is it that hard to draw in a crowd to the blog that you have to resort to lying on a CHILD?? I don't know why they continue to put Queen Latifa in roles like this. They should have had Sanaa or someone....just don't even seem believable or the white girl from 2nd wives club, Katie. I love her! The romper Tiffany has on I found mine at express. Didnt somebody report that her daughter lives in her own place???? Lol. Oh wells lol so you all believe her and listen to her parenting advice??? She needs to stop lying! Just like she tried to backtrack and say that girl still lives at home. Their children has been doing as they please since forever. She doesn't need to lie to pacify the public, those are their kids, why do we care what they do or watch? 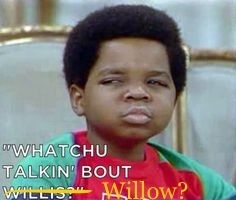 How the hell she live on her on but cant see an r rated movie..jada n will both need to cut the shyt! Eh parents do stupid things lol when i was 16 i could drink hell my mom bought me beer but she didn't want me to smoke weed ??? Jada fake as hell... Just stop ...? She ok for an actress but i hope you realize that she isnt the only plus size actress. It almost gives me set ir off vibes. There are so many other "plus size" actresses out there that would have given use the true girls trip vibe. Sorry she aint it. Maybe she should play anika noni rose part in power....just seem fitting. I wonder why they're promoting this movie so heavily??? Most of the time you don't see actors doing this much promo, just enough I guess. Go to school if you want to. Have a girlfriend AND a boyfriend. Use whatever Foul language on social media. But,Nah you can't watch an R rated movie,that's pushing it. I've never had a big 1,Lest my search continues. Not only is she a good actress, but she has broad "appeal". All audiences love her. Queen CAN Act.....Sanaa and Regina.....not so much! Queen Latifah is a pretty good actress, I prefer her in more serious roles though. I'm just not the biggest fan of comedies, just a little bit, but I prefer drama, horror, and thrillers. It makes sense when certain actors only get certain roles and they don't reach A-list status.....they can't act that well. People joke about Sanaa and Regina's careers, but if they were better on screen, they would have reached Meryl Streep or Kate Winslet status by now, but no, wait, no one compares to Meryl Streep!!! Just like Johhny Depp, she can play anybody and will always get the best roles :)!!! From what I heard, it's Regina and Sanaa's funky attitudes that are holding them back from getting better roles. SMDH! What is a true girls trip vibe?? Queen has it, she can play a funny girl or a more serious role, it works, and like you said, all audiences lover her. Plus, she's humbled and has a great spirit. I wouldn't want to work with Regina or Sanaa, they have nasty attitudes. No producer or director should put up with that, especially when you're not that good of an actor to begin with. Sad. She's the parent and that's her child ? I got my own unborn child to worry about ? I must say that Tiffany Haddish is very annoying and extra. I don't feel I do her to be funny. They should have found someone else instead of her. ???? That's just my opinion though but I respect yours. What you see isn't the same as what I see. I think its unfair to compare a White actress to a black actress because they can't always get the same fair advantages. That's like saying all white people are fair in their decisions especially when it comes to black folk. All that other stuff is heresay. I cant speak on Regina. I like her but her acting is still on a newbie level. However, I can not say that Sanaa Can not act because I personally believe that's an unfair depiction of what she has to offer. You think so??? She's adorable and seems cool. I LOVE her spirit. Regina has a disgusting attitude, just like Nia Long. Queen and Jada, from what I hear, are great to work with. I wish more people would call out these rude and nasty celebs. No one wants to work with someone who is not nice or thinks they are superior to everyone! Yea I am on the fence sometime Tiffany has me cracking up and sometimes she is soo extra. And NOOO NOT Regina....I love her that is disheartening to hear. LIke now u want to be a mom ? That's funny because I heard opposite with Jada but of course I don't know them or work in the industry to know the truth. Well I will take her over Loni Love or Monique. Funny thing I will too.Loni gets on my nerve...Monique can be a tad annoying to me. Lets see...Amber Riley? After seeing Breakfast Club interview, I like her. She had a very trying story and you can tell she holds in a lot of pain. She is aggressive but you get a sense of vulnerability as well. I disagree. People should humble themselves, have a more pleasant attitude, connect with the right persons, and watch how more doors open for you. In the entertainment industry, your reputation and behavior follows you whether you want it too or not. If these directors and producers hear that you are difficult to work with or have a deplorable nasty gutter attitude, why would they call or consider you for a role??? You don't see Steven Spielberg or James Cameron calling Regina or Sanaa, and it has nothing to do with race in that instance. For one, they cannot act, and for two, they have stank attitudes. I think pulling the race card is getting old. If someone wants to act, go for it if YOU HAVE LEGITIMATE TALENT, but also be humbled and have a nice attitude, and maybe, just maybe, you might get to that A-list status where everyone will want to work with you :)!!! There is plenty of talent in Hollywood, but when you can't act and/or don't have a pleasant attitude, you will not get the best roles. Just my opinion. Now, for example, Halle Berry is known to have a nasty attitude and temper, but she CAN ACT! The main point I was trying to make is that a lot of actors are either not good enough to be better or their reputation is what is holding them back. Sad. LMAO....ask and you shall receive! Honey you got time today. Have a good one! 100. And now I know her name. I knew the face but not the name. Me too! Queen and Mo'Nique were great in that movie. Both of them are phenomenal actresses. I always say that Mo'Nique's Oscar was well deserved :). Didn't know that about Regina. Not god when your attitude is put in the same category as Nia's if you let black Hollywood tell it. Did you think Common falling in love with her in that basketball movie was believable? I just couldn't see it for the life of me but it was a sweet movie. Oh God.. Sanaa too?????????? I thought for sure she must be a sweetie pie. Dang. Really I have a hard time seeing her in roles like this. I think I can see her in much more serious roles because I can't really laugh at her and see her being in "girly" girl role. Like I think she would be perfect in Power playing Anika Noni role because it would seem more realistic and comfortable for her. Either way, Ill check this out and see if I can be a lil open. If you look at some of her interviews....you can tell. It's the mannerisms, the eye rolls, and the way she speaks to people. The Breakfast Club interviewed her and I was like, hell naw, I would have excused myself from work that day because it would have gotten heated if I was interviewing her. And I've heard other folks talk about her attitude. Like really, she can't act but yet has the nerve to have an attitude, are you kidding me?? Puh-lease. I try to pay attention to what I hear about these celebs because if I run into them, there are certain ones that I would just walk right on by. But if I ever meet Johnny Depp or Tom Cruise, I'll either faint or piss my pants! Both of them are very nice and humbled. Tom was here in Georgia a year or so ago filming and EVERYONE said how super nice and sweet he was, hate that I missed that one!!! Do you think James Cameron knows who Regina and Sanaa are? No shade at all. Regina cannot act and her attitude makes her look worst. What's sad is that they keep giving her these B-movie roles that could go to someone else who has the talent. Plenty of good actors are still waiting for their turn, especially a lot of students who have studied the craft. Sad. I think movies should use more fine arts graduates anyway, at leas they took the time to study and learn. Now that doesn't mean they can act, but at least they made the effort to try to be better. I kinda like Jada's outfit although it looks a little like a county jail jumpsuit to me. Man, hold up! Regina lookin mighty good up there in all that orange!! That's def a good color on her. Plus, her hair and make-up looked really nice, too. Really??? Now I hear Will Smith is just the nicest person you will ever meet. I live here in GA and lots of celebs come here to film, do music, or just visit the city so we meet them and can give you the lowdown on how these celebs really act! I've never heard anything bad about Jada except people criticizing her parenting skills. I've never met Jada or Will, but Ne-Yo is the nicest sweetest person you will ever meet :)! I met him last year; love his spirit and smile. Yeah but its heresey. I cant believe everything I hear. Its funny because Im in Atlanta too and it seems like the ones that are not from here are cool but the local celebs be on some Hollywood attitude. I just don't approach celebrities. Well I did run into Kandi momma in publix and I was SHOCKED at how sweet she was! Jada is a ABSOLUTE doll to work with VERY focused. As long as U don't try her. Which no one would dare. Sweetie pie??? In what lifetime??? LOL! I'm starting to think they just need to get laid to release some tension. You never hear much of them being linked to anyone romantically. Can we have a moment about these Atlanta local celebs. I am like me and boyfriend can rent a house. Put a studio in it and post you tube videos. Pipe Down and be humble. Will Smith is just as U would expect him to be. Approachable,funny,down to earth, with NO attitude whatsoever. No, he probably doesn't, my point exactly. Sad. I most def wouldn't want to see this if they casted a white girl in the movie. ????? GUH.......I have no words!!!! These ATL celebs make me shamed sometimes! I agree she can't act. Once you do scary movie I slide you out of the thespian category. Samuel I will NEVER talk to again. What U see is what U get with him. I used to date this guy from NY and his mom met Sam Jackson and said he was super nice. He doesn't seem like it, but people say he is a pretty cool dude. I've always wanted to meet The Fresh Prince! I have never heard anything bad about him. Everyone says he is very humbled with a pleasant attitude. Before I die, I just have to meet Will Smith and Johnny Depp, it's on my bucket list!!!! I still think that Depp will be one of my future husbands :)! LOL! Will I can't say enough good things about him. I met & worked with him MORE than once and each time was better than the next. Let's be honest. The kids ain't learning nothing but lies in school anyway. Lol you go to school so they can train you and it's the same with college. If you are rich you don't need the training. Jada is a joke to me. Now you want rules? Then tell her how to break them wtf. Yeah I know but she is so darn cool! I want to like be her friend in real life ...*whispers in your ear* she the only white girl I have seen on TV that I was like damn I'd have her as a friend. We sat across the row from Nia at the Lion King show last year. I begged my mom not to ask her for a picture (at the end of course) - because I didn't want to have to cuss her out for being rude toward my mom. I agree, her personal life clouds it for me. Sanaa wouldn't be a great fit, plus I think her and Regina have beef. Maybe Neicy Nash or Tichina Arnold or someone like that. Okay. Don't play with mother. You did the right thing cuz yeah, it sounds like she would have showed her azz. LOLLLL... You're cute :-). Rumor has it or had it for a while that Regina and Sanaa were an item. True or not, I never hear or read of either of them being with anybody. Willow is just as crazy as her mother. yeah, I'm sure they have a access to movies streaming in their homes. Being a beard for Will paid off well for Jada. Seriously, if this chick had not agreed to be Will's beard, I can see her working at the local Walmart chewing gum real hard, blowing bubbles, and rolling her eyes at the customers. She is just a neck rolling, eye rolling non talent. Same for sleep-around Gabby Union. I don't believe talking through her teeth her entire career and calling it acting is what got her acting parts. I'm being messy, I know. Lemme go marinade my pok chops for dunnah tonight. Stay cool in this heat! Not a Gabby fan but she's educated so I doubt she'd be punching a clock at Wally World. Now, I heard something about Essence Atkins that was interesting (not on a blog, but a commenter) about how she came up. I'm sure other one-dimensional actresses did something strange too. I like Tiffany she used to work at LAX for Continental Airlines back in the 90's, super cool. What's the 411 on Essence?? But Willow lives on her own so how is this going to work exactly? She allegedly had a nice man that supported her financially while she went on auditions and took acting classes. Once she got on that kids show (I don't remember the name but it was before Half & Half), she left and told him to kiss hers. Man, Latifah's right ankle is swollen like crazy. Yikes! She needs to leave those collagen injections alone. She looks rather hard on the eyes when you look at her cheeks. You can tell they are unnatural. You didn't ban her at the age of 11 from shaving one side of her head and dying the hair side green. You didn't say shyt when she dropped out of school. You didn't utter a sound when she was 12 or 13 tongue kissing that grown man. Oh, but this is where you draw the line? She is banned from seeing a movie your Saw puppet faced azz is staring in? She can't see that? GIRL, BYE. YOU hold the biggest L ever with parenting. After letting the children run around like crazy with no supervision and defending it like a good liberal now you want to implement some guidelines. I hope like hell yall out there ain't taking cues from these celebrities. Really? It looks like some throwback Katherine Hepburn outfit...only more wrinkled. Don't get me wrong, Katherine was a head of her time with the pants and whatnot but for some reason, it looks too big on Jada. She has such poor judgment. Omg Jada. She's saying exactly what y'all are hearing. SHE's not taking her to the premiere. That's it. She can go sneak in and see it on her own. Where's there any confusion? Y'all know Jada and Will parent their children differently. So, why wonder? OMG you are about to get me fired!!!!!!! SAW PUPPET FACED AZZ!!!!!!!!!!!!!!!!!!!!!! What do you Marinade your pork in? I'm banning myself from seeing this movie. You all know this is just a publcity stunt to get people curious about seeing this movie. I use various ingredients to marinade overnight. But if I want a quick marinade I use "Amazing Taste Pork". They have various quick marinades that give a subtle flavor but makes the meat more tender. They have Amazing Beef and Amazing Chicken etc. Thicker cuts of chops can be kinda of tough so in conjunction with my marinades, I use a Jaccard Supertendermatic 48-Blade Tenderizer (purchased on Amazon) that gently breaks down the muscle of meat which makes it super tender. I buy the Amazing Taste Pork from my local Safeway but you can also order it online on Amazon. Bon Apetit! Lil Essence did that? Who knew? Yeah, and I think it came from someone in the industry. They commented on the guest appearances she was making (for that sitcom with Marlon Wayans, which to date, has only been aired as a pilot) on the blogs and TV shows but since her marriage went bust, she had to go back to grinding. REALLY! ! So she can have an 18 year old boyfriend but can't see an R-rated movie.. I was going to say something but you eloquently nailed it. Wasn't Jada and Will under police investigation for a photo showing 14 year old Willow lying in bed with a 20 year old man? "She added: “She wanted to go to the premiere and I said, ‘Oh no, we won’t be doing that’." I use to like Jada but it seems like she has raised her kids like the white folks does and ummm yeah I ain't gone say much! I know right, shame on Jada for not raising her kids to wear their pants saggy and speak improper..such a bad mother! Jada and then faux cheekbones irk me..?.. Hey 'Teffa.??? Well thank you. Been looking for a way to try to make pork since my man wants it. Yup. Love the color and the shoes. Had a is tiny so everything swallows her up, that up top is my style and what I would wear.